This post is… pretty much, a note for my future self. I own a KitchenAid fridge (late 2006: KBLC36FMS), and thing is, it started constantly beeping. Nope. It’s not the door’s sensor. It’s not the water filter either. Odds are: the compressor is unable to start. Push for 3 seconds both, the Reset Filter Percent and Power, and the fridge will get into diagnose mode. 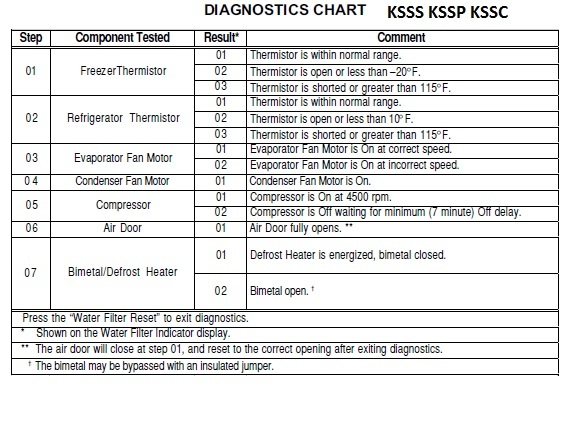 There are two numeric displays in the fridge, and… this handy table will help you read the status of each one of the components. You cycle thru steps by pressing the Reset Filter about 3 seconds. That’s, pretty much, how you confirm it’s the compressor! 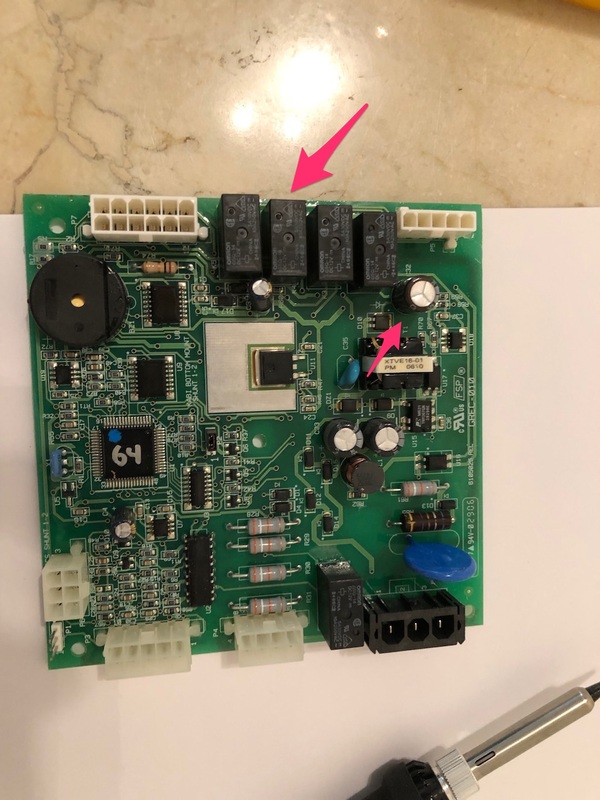 Thanks to this super handy post, i learnt that it’s a bad relay, along with a failing capacitor (hey Steve, if you ever read this: thank you SO much!!!!). Things are quite straightforward. You’ll need to replace the second relay from the left, along with capacitor C32. I seriously hope… future me remembers this is posted in my blog. Maybe in 13 years i’ll need to replace the same parts, yet again!! I CAN’T catch a break Doug!!! !